Spanning a distance of 171 miles, the New Jersey Shore welcomes visitors by the millions on a seasonal basis. As the winter weather continues to improve, everyone across the tri-state area is wishing to be someplace warmer. Shore goers don’t have to wait for too long. The summer season is slowly approaching. This coming summer 2018, shore goers should be more adventurous. It’s highly typical of shore goers to visit one location and forget everywhere else. The New Jersey Shore area spans 171 miles, equivalent to the distance from Bergen County to New London, CT. This summer 2018, there should be no reason to shy away from new things. Breaking barriers is what the New Jersey Shore is all about. What places and experiences should New Jersey Shore goers put on their to-do list for this coming summer? Come Labor Day, they will be glad they gave them all a whirl. With its tempting 3-axis spin, Cyborg Cyberspin is the newest and most exciting new attraction added to Six Flags Great Adventure. 5) Six Flags Great Adventure: At what better place can families enjoy a day of fun together? Six Flags Great Adventure is located in Jackson, NJ, approximately thirty minutes from Point Pleasant. 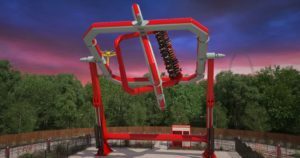 What’s new and exciting at Six Flags Great Adventure this coming season? 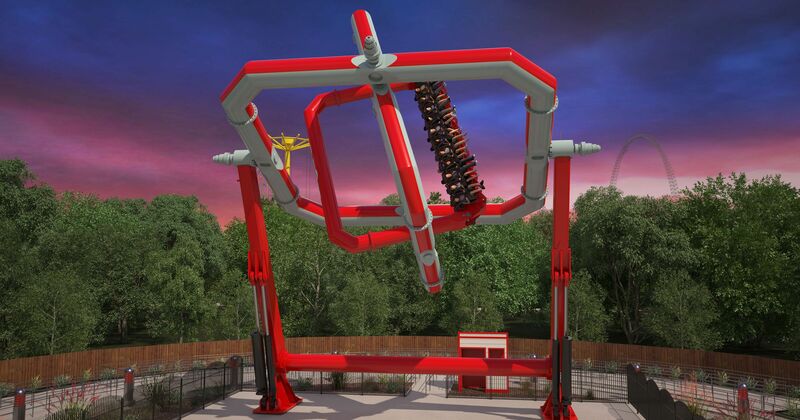 This summer, Six Flags Great Adventure opens a new thrill ride. Opening to the public is “Cyborg Cyberspin”. This massive new thrill ride is seven stories tall. Guests will be turned upside down, sideways, and diagonally. This one is sure to get all guests’ hearts pounding. This summer, Six Flags Great Adventure is definitely the place everyone will be talking about. Anyone wish to see the YouTube video of this ride? See the following YouTube link. https://www.youtube.com/watch?v=bm6jRQPzcrs Tickets and season passes are on sale right now at www.sixflags.com. 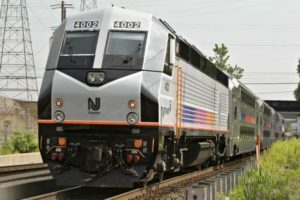 New Jersey Transit’s North Jersey Coast Line operates from New York Penn Station and Hoboken Terminal, NJ Transit, providing service to all major shore points including Pt. Pleasant Beach and Bay Head. 4) Taking the train: It seems that everyone who travels to the New Jersey Shore during the summer are over-reliant on their cars. Almost every day, the Garden State Parkway gets cluttered up with traffic. So much valuable time is wasted. Taking a New Jersey Transit train to the shore takes off so much stress from driving, paying tolls, and of course…the gas pedal. New Jersey Transit’s North Jersey Coast Line operates out of both New York Penn Station and Hoboken Terminal. New Jersey Transit serves the shore towns of Long Branch, Asbury Park, Belmar, Spring Lake, Manasquan, Pt. Pleasant Beach, and Bay Head. New Jersey Transit also serves Atlantic City, with their trains traveling to and from Philadelphia’s 30th Street Station. Fares and schedule information can be found at www.njtransit.com. Serving up its irresistible hot dogs since 1963, The Windmill cannot be missed. Seen in the picture is the original location in North Long Branch. 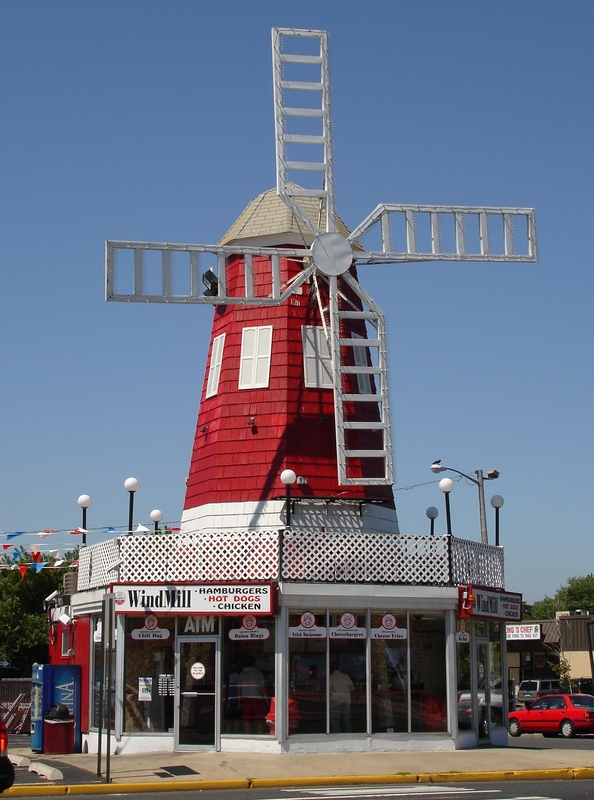 3) The Windmill: Since 1963, The Windmill has been serving up the finest hot dogs on the New Jersey Shore. They are considered to be the New Jersey Shore’s rendition of Rutt’s Hut (Clifton, NJ). From their famous hot dogs, to delicious burgers, the menu at The Windmill can’t be resisted. If anyone’s looking for a true New Jersey Shore lunch meal, The Windmill is the place to go. The location to visit is the original location in North Long Branch, which look like a real windmill. The Windmill also has locations in Brick, Belmar, Red Bank, and Asbury Park. The menu can be viewed at www.windmillhotdogs.com. 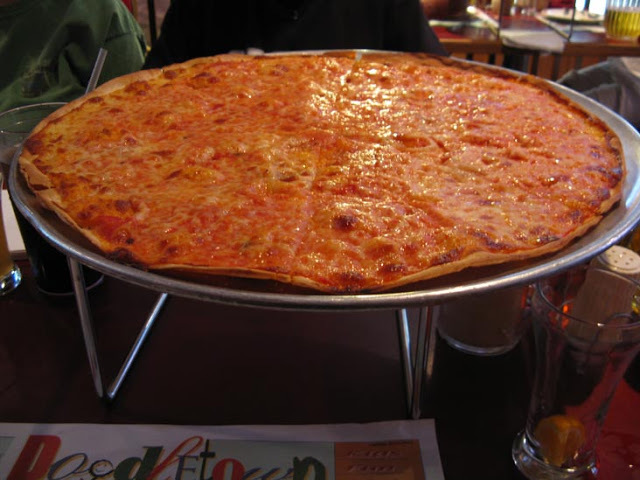 2) Pete and Elda’s: Pete and Elda’s Bar/Carmen’s Pizzeria has been serving the Neptune City area for over 50 years. They serve everything from pizza, to burgers and wings. Their thin crust pizzas are simply the best. Pete and Elda’s is rated four-stars by Yelp. 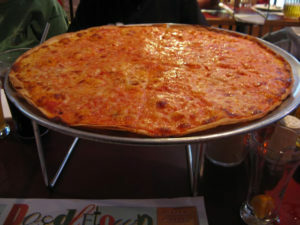 Pete and Elda’s has also been voted the best pizza on the New Jersey Shore by The Asbury Park Press. What’s the big draw at Pete and Elda’s? Pete and Elda’s big feature is their Whole Pie Eaters Club. How does one receive such honors? The rules are plainly simple. Anyone who orders and eats an entire XXL pie (with or without toppings) wins a limited edition t-shirt. The XXL pies are 18 inches in diameter. Each slice is equivalent to a foot-long hot dog. Is anyone hungry? Avid pizza eaters can view the menu at www.peteandeldas.com. Here a young couple enjoys the quiet surroundings of Sandy Hook’s Gunnison Beach, the largest clothing-optional beach in the northeastern United States. 1) Sandy Hook’s Gunnison Beach: What would the New Jersey Shore be without a beach that welcomes visitors from as far as the Carolinas? Sandy Hook’s famous Gunnison Beach is New Jersey’s clothing-optional beach. Gunnison Beach is the largest clothing-optional beach in the northeastern United States. Visitors, especially first timers, should not shy away from Gunnison Beach. The crowd has gotten younger. It’s become the millennials’ kind of beach. Young adults (single and married) and families visit Gunnison Beach daily during the summer months. Once anyone visits the first time, ends up going again and again. Best of all, they never look back. Gunnison Beach has the most incredible view of the New York City skyline and the Verrazano Bridge. On a clear day, it is awe-inspiring. The water is wonderful. The people are super-friendly. The ocean breeze is the utmost soothing. What’s even more exciting is that Gunnison Beach has a beach volleyball court. A great match-up is certain to take place every day. Many young adults visit Gunnison Beach in large groups, making a game of beach volleyball or Ultimate Frisbee a far more exciting experience. Parking is $15.00 per car. Sandy Hook (Gateway National Recreation Area) season passes are $80.oo. Season passes go on sale as of April. Tempting visitors to join its Whole Pie Eaters Club, Pete and Elda’s famous XXL pizza (18 inches) says it all. The New Jersey Shore summer season is coming soon. Even though the winter is still in effect, the excitement of breaking out of the stiff cold and stretching out on the beach is fresh in the minds of all tri-state area residents. This summer 2018, New Jersey Shore goers are encouraged to challenge themselves and try new things. Being adventurous is both rewarding and educational, right? Whether riding the new Cyborg Cyberspin at Six Flags Great Adventure, taking the train, sinking their teeth into The Windmill’s famous hot dogs, or becoming a member of the Whole Pie Eaters Club at Pete and Elda’s, the New Jersey Shore can’t be more inviting. 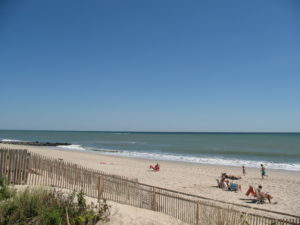 Plus, enjoying a dip in the ocean au natural at Sandy Hook’s Gunnison Beach is just as satisfying. The New Jersey Shore is not just where memories are made. It’s where adventure awaits.